IT MAY SOUND pointless, but there is (it’s compilers claim) a serious motivation behind the international Club Sandwich Index. Using the classic staple of a chicken, bacon, egg, lettuce and mayonnaise sandwich, the people at Hotels.com calculate the average price for the meal in a city based on real prices paid by hotel guests. The resulting index, which compares the prices in destinations worldwide, aims to give holidaymakers an indication of how expensive their trip might be. So where does Ireland figure? Well, the price for a club sandwich in Dublin came in at €11.69 in the 2014 survey — nine cents more expensive than last year, and 16th on the list. That means we’re pricier than Madrid, Singapore, Beijing and Bangkok — but quite a bit less expensive than New York, Tokyo and Copenhagen. The average price for the sandwich tops the €20 mark in two locations — Geneva and Paris. €23.57 is the average price for the snack in the Swiss capital, in fact — a little alarming for most tourists maybe, but presumably no problem for the upper crust* travellers likely to holiday there. 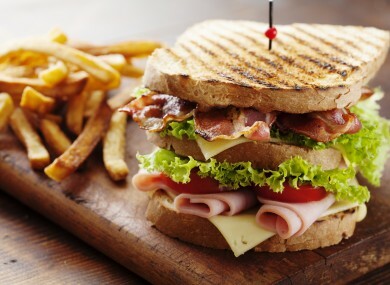 Email “Where does Ireland sit on the international Club Sandwich Index? ”. Feedback on “Where does Ireland sit on the international Club Sandwich Index? ”.